I read someone asking a conditionalist in a Facebook thread concerning how they define death. Then one of them responded with, “It depends on how you define life.” I couldn’t agree more! Unfortunately, this is an area that Chris Date and some within Rethinking Hell sorely deviate from. In a debate with Len Pettis during a Striving for Eternity Conference in September of 2016, Chris Date stated that Jesus does not define eternal life as knowing the Father and the Son just as He taught in John 17:3. Chris then wrongly exegetes this Scripture by comparing the translation of the Greek word “is” with other Scriptures that contain the same word. He neglects to make a linguistic and contextual interpretation of John 17:3 by failing to see the other words which Jesus used that explicitly define eternal life. It is presented below in English and in Greek so that you can see why Jesus defines eternal life as knowing (having intimate fellowship with) God. And please don’t run. As I did in Part 2a, you don’t have to be a Greek scholar to understand what I’m about to show you. (English – ESV) And this is eternal life, that they know you the only true God, and Jesus Christ whom you have sent. Now, if you noticed, I highlighted the words that Chris used to make his case in blue. The Greek word ἐστιν is the conjugated form of the word “eimi” that he mentions in the video link above. It is this word that Chris wrongly interprets in this context. But since conditionalists tend to define death in hyper-literal terms, it is no wonder that they look at Scriptures like this and have to make it fit their own annihilationistic hermeneutic. Nevertheless, Chris explicitly states that “is” does not “equate” eternal life with knowing God the Father and the Son. But let’s look at the other words within this context to help us to understand the semantic function of “is” in this context. 5 Saviors or Just One? Stay the Course and Never Compromise! In light of some of the recent posts and comments, I would like to share a few thoughts from my heart, but I want to do so by beginning with a story. Over five years ago, an unknown blogger started an unknown blog that would eventually become very well known with thousands of readers. The unknown blogger was The Pilgrim and he began a blog that was then called Reformation Nation. Five years later, the site has been visited almost 3 million times, has over 25,000 published comments, spams innumerable, and people who are either still with us or have left angry, mad, or upset. In late 2007, I was pastoring a small mission work and the Pilgrim, along with his family, wandered in on a Wednesday evening and listened to an exposition from Psalm 1. That night began what has become a very close friendship that climaxed, in my estimation, with one of the best memories of my life. He decided to join my wife and I on a mission trip to Liberia, West Africa. This was not easy for him as he had never been outside the USA, much less having been on an airplane. The blog quickly became Defending Contending and I was invited to be the first of several contributors that would join in the fight. The Pilgrim and his family became a very important part of our ministry and in various ways they became a huge encouragement to us and still are to this day. Those times as a mission pastor were not easy, and there were times that I wanted to quit. I wondered whether it was worth the fight. Yet through it all, the Pilgrim was one of the few who always sought to give encouragement no matter how he was feeling, and no matter what he and his family were going through. But then, I would remember the phrase again, “Stay the course, Never Compromise!” Either the Pilgrim would have to remind me, or I would seek to remind him. Was it necessary? Was it worth the fight? Have we stayed the course? Have we sought to compromise? I believe the answer is and remains that it was necessary, it has been worth the fight, we have sought to stay the course, and to the best of our knowledge we have tried not to compromise. The purpose of this post and the lengthy introduction and story is to talk about the Pilgrim’s little phrase that has meant so much to me and to others. First, what does it mean to stay the course and what course are we meant to be taking? After all, there are many blogs out there. There are many paths that can be taken. Some would make us popular and the blog could probably have become very famous had we made some different decisions. So, what course are we to stay? The apostle Paul never set out to be popular, and it was clear from his writings that he never had a mega-church. He never saw his letters become best-sellers. He never owned his own personal Learjet and was never chauffeured around in bullet-proof vehicles. His final days did not live up to the vague, empty promises made by the health, wealth, and prosperity proponents of the 21st century. In fact, his final days were not spent in luxury but in the damp, dank interior of the Mamertine Prison in Rome. Then for the sake of the Master for whom he was nothing but a slave, he became a martyr and was beheaded at the command of Nero. Yet, he stayed the course. Listen to what he had to say in Acts 20:24, “But none of these things move me, neither count I my life dear unto myself, so that I might finish my course with joy, and the ministry, which I have received of the Lord Jesus, to testify the gospel of the grace of God.” Notice that his course was not to enjoy life. It was not to have his best life now. It was not to be fulfilled or to build his self-esteem so he could feel better about himself. Paul was a servant. Actually, he was more than a servant; he was a bondslave. He was a doulos of Jesus Christ and of such had no control over what he could say or do or even how he could live. He recognized his position and rejoiced that he was even called upon to suffer just as the disciples of Christ had done when they were beaten for giving forth the precious words of life. He actually notes about himself in 2 Cor. 10:10, “For his letters, say they, are weighty and powerful; but his bodily presence is weak, and his speech contemptible.” It would appear that Paul never read the great Roman philosopher Dalius Carnegius scroll entitled, “How to Win Friends and Influence Senators!” If he did, it certainly did not make an impression on him. Paul made it clear what the course was. It was to know NOTHING BUT Jesus Christ and him CRUCIFIED! That was definitely not a popular subject matter. Nobody liked crucifixion. I am sure that everybody did not want to be reminded that the Christian walk was not a bed of roses. There may have been some that thought that following Christ was easy as long as they could first go and bury their dead. Or, maybe it was necessary to first throw a party or to sell off the family business? After the events of Acts 5 and the account of Ananias and Sapphira, there was no doubt that staying the course meant that people FEARED to join themselves unto the number of those who claimed to be followers of The Way. They were afraid to claim something that they were not just as Ananias and Sapphira had done. It cost that couple their lives when they lied to the Holy Spirit. God knew they were phonies and their lives did not match up what they claimed. There was no desire for forgiveness ever recorded, but the church remained pure and continued to grow. Today, as a blogger, it would be easy for us to stop telling the truth. It would be easy for us to join with others and seek to hold hands with all denominations and religions all for the sake of unity, but done at the expense of doctrinal purity. But, it would be compromise! At DefCon, we could openly embrace all those who claim to know Jesus simply because they know what His name is, yet have no evidence of fruit. We could change from being a blog that takes a stand for truth and only give nice fluffy messages about how our readers could live their best lives now. We could tell our readers how much God loves you that He has a wonderful plan for their lives that includes no hardships. That would be to join the mainstream of what passes for evangelical Christianity. And, it would be compromise! We could refrain from Paul’s admonition to warn others of the wolves that are desirous of eating the flock. Yes, there are many things we could do differently that would please many of our former readers. There are areas of doctrine that could be ignored and whole passages of Scripture completely obliterated from our Bibles all for the sake of unity. We could refrain from warning others of the coming wrath of God. 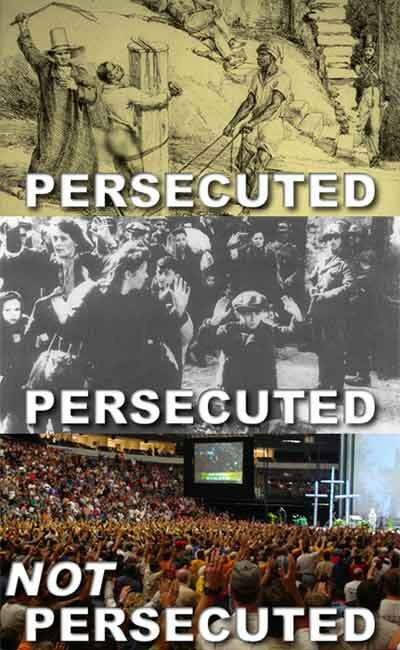 We could refrain from shedding tears at the apostasy that is so prevalent in modern churches. We could keep from warning others that it is only going to get worse. 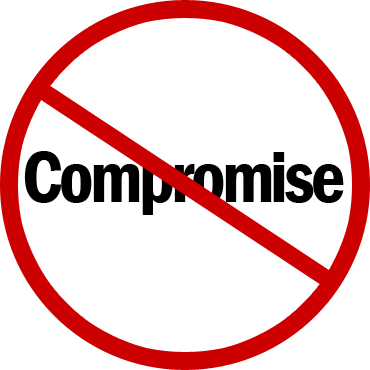 To compromise is to give up on God! It is to give up on the Scriptures! It is to say to the world that the world is more important than the truth of God’s Holy infallible and inerrant words. To compromise means that we would have to stop telling people of the dangers of the cults and religions that are taking their people down to hell. To compromise does not necessarily mean huge changes overnight. Compromise takes shape just one small step at a time, but the end result is still the same! DESTRUCTION! Hebrews 4:12 tells us that the Word of God is quick (alive) and powerful and sharper than any two-edged sword. It pierces down to the very core of our being. To compromise means that we would no longer believe in the regenerating power of God to break the dead heart of stone and make a new creation in Christ. You see to compromise means that we would be admitting that God is NOT the same yesterday, today or forever. It would mean that we believe that the message has to be different because of the changing times. To compromise means that we will not have stayed the course. We must learn and pray that God will give us the grace, the strength, the humility AND the boldness to stand alongside the Martin Luther’s of the world who have come and gone. We must learn to re-echo those famous words with the same fervor and passion of those who were willing to DIE for their faith. To compromise means that we do not count as dear that great cloud of witnesses who laid down their lives for the sake of the gospel. It means that we do not stand with our fellow brothers and sisters around the world who suffer today for their faith. It also means that we show to the world that our faith is only for when it is an easy walk, not a path wrought with difficulties, trials, and tribulations. Listen again to the words of a man, who like Paul, refused to compromise. Soldiers have no recourse to change their orders like so many are doing today. 2 Timothy 2 tells us that we are called to be good soldiers of Jesus Christ. No soldier that goes to war entangles himself with the affairs of this world. Our Commander in Chief has not authorized easy deployments, nor has He changed the battle plan! Later that afternoon, Pastor Togba was expecting another guest from America. The guest was coming from Maryland in the United States. The little church that was hosting this pastor was just about one mile down the road from Maranatha Baptist where Pastor Togba was the pastor. Like many small congregations, they did not have a facility for their guest to stay, so had enquired as to whether Pastor Togba and his family would allow this man to be a guest in his home to which he graciously agreed. While the little church was charismatic in nature, Pastor Togba and his dear wife were very gracious and counted it a privilege to open their home to strangers. A special project that had begun the night before was being concluded when we arrived. 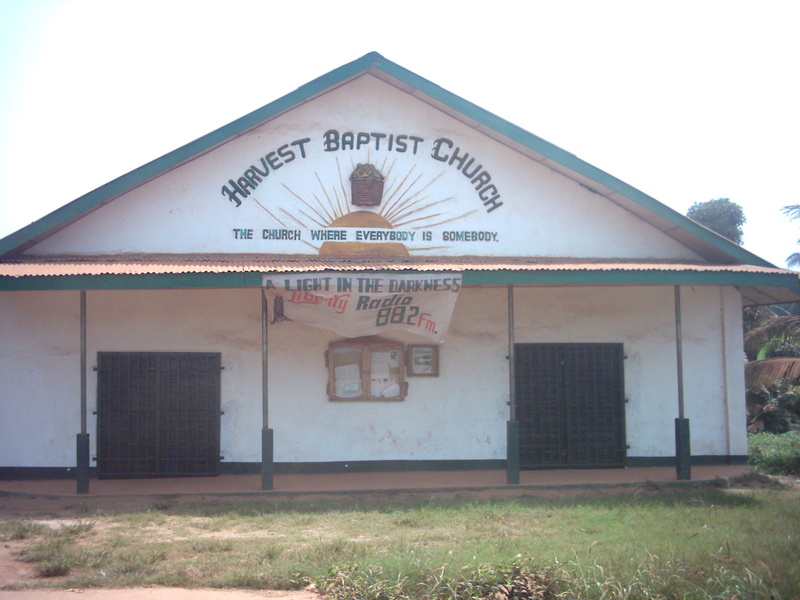 A unique custom found in parts of Africa is for the congregation to give an offering to purchase whitewash. As a sign of honor to their coming guest, many within the congregation would gather at the home where the guest would stay and completely whitewash the concrete or mud-brick home. This small congregation had purchased what they could probably not really afford. They had then walked and worked in the oppressive heat just to make Pastor Togba’s home look a little nicer and cleaner with the new whitewash. The day had finally arrived for their guest to arrive. Food and cool bottles of water waited on the table, and after two days of working to whitewash the house, the congregation stood patiently under the porch for their guest. The time for his arrival came and quickly went and still they waited. It was beginning to grow dark as the preacher finally made his appearance about three hours late! And it was definitely a dramatic appearance!